Not done a game post in a couple of months, so a bit of catching up to do. 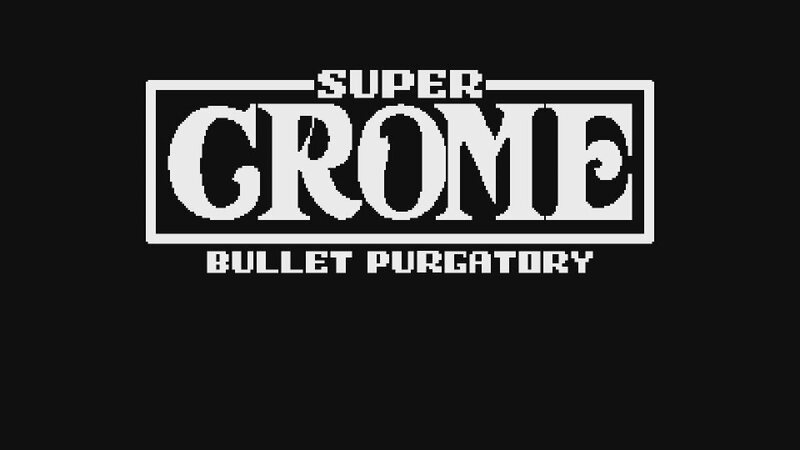 First up is a bullet hell shmup (and I've just got the name), in which you play as Crome, a pilot trying to fight off a giant army of aliens. To do that, you've got a snazzy spaceship and a traditionally upgradeable blaster to slaughter your way through a probably infinite number of baddies. As well as your basic weapon, you've got three special weapons: a charge shot, remote turrets, and my favourite, homing bullets. They're energy-limited, and recharged by murdering enemies, and good lord there's never enough of them. You've also got a defensive move in the form of an invincibility-granting dodge. Brilliantly, I tend to dodge into enemy attacks most of the time. Obviously there's a fair few different ways they try and kill you, whether that's homing bullets of their own, cheekily healing each other, or exploding into firey death balls that attempt a posthumous murder. They have individual patterns, but when you get half a dozen or more on screen at once, it's less a case of predicting the best place to be and more frantic running about at great speed trying not to lose one of your four lives. 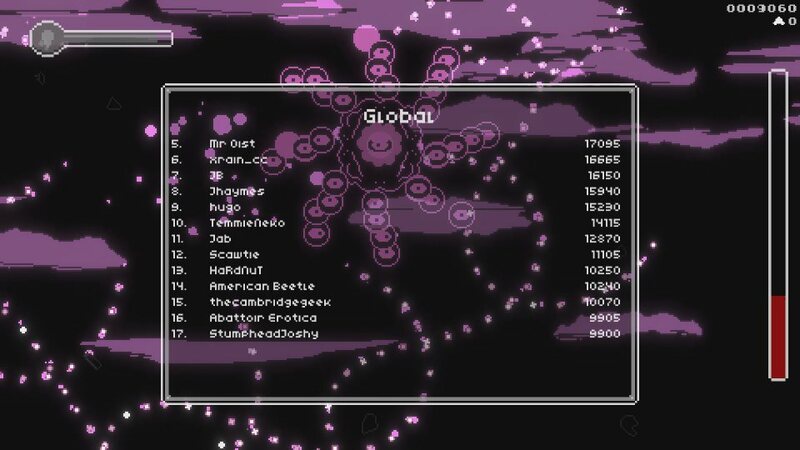 I will never be this high on a leaderboard again. It's got a very retro feel, with graphics that are simple but fit for purpose, and match the similarly sparse but pleasing sounds. I'm especially fond of the lovely little explosion you get when something is blown to smithereens. I'm less fond of the one you get when you or your assistant bots die. Certainly worth half the cost of a cup of coffee to fans of shmups, and one I'm likely to keep picking back up as it gets more added to it.